The 5-day „WSET® Level 3 Award in Wines“ seminar is a globally known and respected qualification in the wine business. It goes deeper into topics learned in Level 2 and will give you a very high level of knowledge. It is recommended to pass WSET Level 2 before moving on to Level 3. Analytical tasting technique for wines using the WSET® SAT system, to be able to state and assess the characteristics of quality and value for the most important wines. The seminar contains 14 sessions spread over 5 full days from 10 am – 6 pm. The Level 3 course is for those who work in a leading position within the wine business or who would like to advance their career, for trainers / instructors, for purchasers and sales staff. Participants should hold the WSET ® Level 2 certificate or an equivalent qualification. Taking the WSET® Level 3 will take you to a very high level of knowledge of wines. The high acceptance of this Level qualifies you for a position within the international wine business and international wine business relations. Furthermore, the WSET® Level 3 certificate is required, if you want to study one of the most respected courses worldwide: the WSET® Diploma (Level 4). 50 question multiple choice paper and a paper requiring 5 short and freely written answers. For this part of the exam you will have 1 hour and 15 minutes to complete. Blind tasting of 2 wines (red & white) using the SAT Level 3 tasting technique. For this part of the exam you will have 30 minutes to complete. The exams will be conducted by our WSET® accredited examiner. 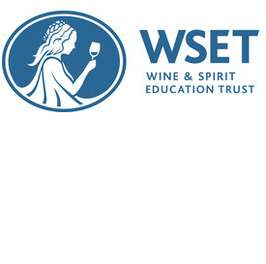 In order to receive the WSET® Certificate, students have to pass both parts. The study pack will be sent to you approximately 2 weeks prior to the course start date. In total WSET® suggests 84 hours of study time; 28 hours of which should be class room sessions and 56 hours self-studies. It is strongly recommended that you familiarize yourself with the course specifications ahead of time. These can be found here.